(Baghdad) The Iraqi air force has said it carried out a series of air strikes on a residence where Islamic State leader Abu Bakr al-Baghdadi was suspected to be meeting other ISIS commanders, the Iraqi military in a statement, said Iraqi F-16s had targeted the house in western Iraq on Saturday. It also published the names of 13 Islamic State commanders it said had been killed in the air strike, but did not include Baghdadi. Three other Islamic State positions in western Iraq were also targeted in the same wave of air strikes, killing 64 fighters. 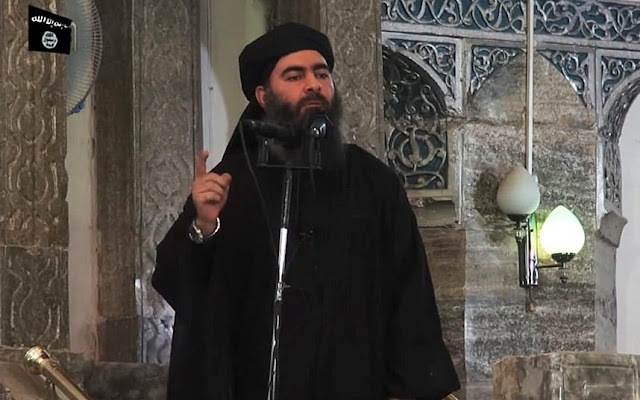 The military said Baghdadi moved last week in a convoy from Raqqa in Syria to the Iraqi side of the border, to discuss with commanders "the ISIS collapse happening in Mosul and to chose a successor for him".